UPDATE: 2012-02-28 - Thanks to "Anonymous", the commenter, it has been pointed out that Microsoft has addressed this issue as of 2012-01-11 with a hotfix and registry setting. I'd imagine that it's only a matter of time and this issue is finally addressed in a mainstream patch. "... After you install this hotfix, you can disable the "Broken Shortcut" task or the "Unused Desktop Icon" task in the System Maintenance troubleshooter by configuring the registry. Detailed steps are described in the "Registry information" section. 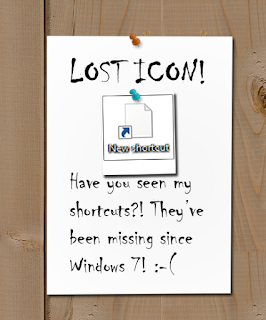 ..."
We've been deploying Windows 7 for a few months now and we noticed that a few users initially complained that their shortcut icons have been randomly missing or somehow deleted off the desktop. We started putting back old copies of their shortcuts and, lo and behold, they would disappear again in about a week or so. After digging around on the internet, we found the source of the problem to be the part of the Windows 7's System Action Center scripts. It turns out that the Desktop Cleanup Wizard is now part of the scheduled maintenance. "... The System Maintenance troubleshooter performs a weekly maintenance of the operating system. ... When there are more than four broken shortcuts on the desktop, the System Maintenance troubleshooter automatically removes all broken shortcuts from the desktop. ..." This is also along with unused icons. Now, knowing the source of the problem, we dug further and found that the scheduled maintenance can be controlled by Active Directory’s GPO policies, but only in an Enable all/On or Disable all/Off fashion. It also turns out that many people have posted how to modify the files responsible for removing those desktop shortcuts, so that their function is disabled without interfering with the other features or causing any errors. We couldn't find a complete solution that would fit our needs. We’re a large orginization and there didn't seem to be an already published way to disable the remove shortcuts feature globally without disable all the features of System Maintenance Troubleshooter and/or manually going to each computer, editing the troubleshooter's power shell script files. The last few days, I’ve poured through the discussion board posts via Google and brushed up on my VBs scripting skills, and the end result is I came up with a script file to launch via network login on each computer. The script patches the files responisble for removing the shortcuts only once and only if they exist (so, they won't error or annoy any other OS users). The script will also ask the user for UAC elevation to modify the protected files. The original files are backed up using the orginal file names, plus the date the script was run, and plus the '.original' as the file extension. The files modified are: “c:\Windows\diagnostics\scheduled\Maintenance\TS_BrokenShortcuts.ps1” and “c:\Windows\diagnostics\scheduled\Maintenance\TS_UnusedDesktopIcons.ps1”.
'' 'filename.ext.1-1-1990 1.00.00 AM.original' in the original directory.
'' and backing up the original.
'' reqdSize - The file size in bytes. Used to verify the file is the correct size.
'' If the file size has changed, it will not be patched.
'' findLine - Which line to replace in the file.
'' replaceWith - The text to be written into the patched file. tmpFilename = filepath&filename&". "&Replace(Replace(Now, ":", ". "), "/", "-")&".orginal"
patchFile wshShell.ExpandEnvironmentStrings("%windir%")&"\diagnostics\scheduled\Maintenance\", "TS_BrokenShortcuts.ps1", 2724, 22, "    return """" #removed $list to cancel out script"
patchFile wshShell.ExpandEnvironmentStrings("%windir%")&"\diagnostics\scheduled\Maintenance\", "TS_UnusedDesktopIcons.ps1", 2567, 36, "    return """" #removed $list to cancel out script"
Thanks for this! You saved me hours of work. I really hope this takes care of it for us. I'm trying it on a couple of OU's login scripts to see if this icon Houdini act stops. Thanks for making me look good dude! Can't you just disable desktop cleanup via GPO? Disabling Desktop Cleanup Wizard is for Windows XP. 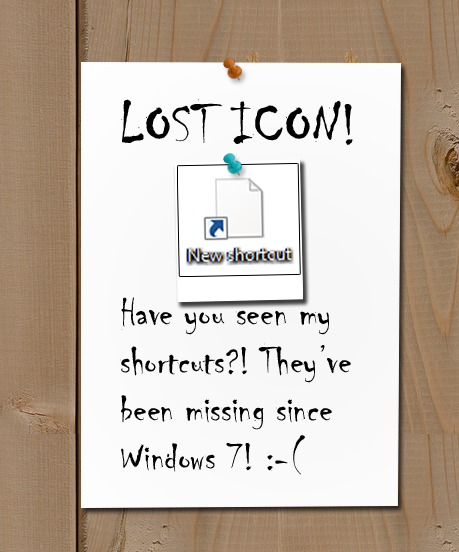 This is related to System Action Center in Windows 7. You can disable all the System Action Center scripts, but this is more of a scalpel then an axe (so to speak). This script can't be "logonned", you'll face authorization FAIL. Not sure why that's the case for you. We use it as part of our logon script. We're running Win 2008 R2 domain controllers and the script resides in the NETLOGON folder. I am also testing this. My link to this site said this was a powershell script which is better, but VB will work. I'll post my results. I need to test your script out as we are in the process of upgrading 350 computers to Windows 7 and having similar problems. Question: does the user have to be a member of the Administrators group to be able to bypass the UAC? The script prompts the users for UAC permission to run as administrator. The user must have permission to run the script. We do not disable UAC on our workstations as there's an apparently large security-hole by doing so. The users of the workstations do have local administrator rights. I got a permission refused on Line 78, char 4 on all our laptops here. Weird coz this has been working on one desktop running same OS (WIN 7 Pro). Looks like ihave to do the job manually....that is not good news. btw forgot to mention UAC is disabled by UAC. Users never have administrative rights. Even when logged on as administrator, when firing the script on the laptops, same "permission refused", line 78. 1.) Are your laptops any different on how they connect to your domain? For ex: Do they connect via a VPN or directly to a LAN? 2.) Is the .ps1 script file activley running when you login? UAC is disabled by GPO. Now how to check if the PS script is in use while they logon ? You tell me. Maybe we'll progress. On a DESKTOP the script was run during logon without any warning. I could run it as administrator too. Both of these last methods failed on any laptop. GPO related ? In short: I'd be happy to help you with this problem, but with the UAC disabled, I won't. Having UAC disabled across a large organization is a disservice. If you'd like to contact me directly, I can discuss this in further detail. Feel free to drop me a line so i'll have yours. Meanwhile am gonna re-enable UAC. You never know. Thanks for the script. I customized it a bit so it will remove the shortcuts when there are more then 100 in stead of 4. This Script Worked Great to update the Maintenance Files and Back them up. This has been a big problem since we've updated to Windows 7 earlier this year Mar - Apr 2014. It was also deleting all our shortcuts on the C:\ Drive and the XLSTART folder where I use a shortcut to load an Excel Menu.